List of Delaware schools offering degree programs in nursing, RN-to-BSN, RN-to-MSN, LPN, CNA, and more. 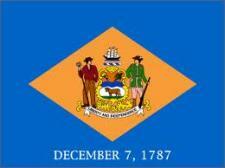 The first state in the US, Delaware keeps strong ties to its history. If you like relaxing to the soothing sounds of the Delaware Bay lapping against 28 miles of coast line, this state is for you. Wilmington and Dover offer big-city ease in a small-town atmosphere. Delaware is one of the Compact states, meaning they will accept nursing licenses from any other Compact state. Delaware nursing schools are waiting for you now! Choose a school from the list below.